How many street-oriented adventure bikes do we need? I admit, we basically ignored Honda at the EICMA show last month. Honda's biggest news, of course, is the Africa Twin, but we’d already covered that ground plenty of times. The other announcements were mostly modest redesigns. But looking back, maybe there was one piece of news this fall that was worth a little more thought, even if it wasn't really a new model. Honda is bringing its Crosstourer to the U.S. market for 2016, where it will be called the VFR1200X. The more I look at this motorcycle, the more I have questions. The VFR1200X, known as the Crosstourer in Europe, is coming to the United States for 2016. Honda photo. The VFR1200X uses a retuned version of the engine in the VFR1200F sport-touring flagship. 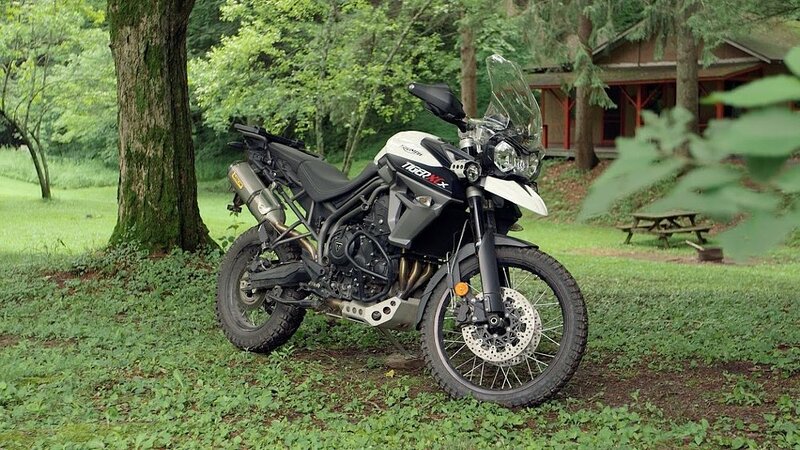 It also comes with the F’s shaft drive and, like the Africa Twin, the option of a regular six-speed transmission or Honda’s DCT automatic transmission. The X departs from the F with not only a retuned engine, but also 19-inch front and 17-inch rear spoked wheels to allow a choice of rubber ranging from mostly dirt to all pavement. Signs of street bias: The spoked wheels still allow you to use tubeless tires, and you'll notice Honda didn't put knobbies on the VFR1200X stock. Honda photo. Of course Honda classifies the VFR1200X as part of its four-bike “adventure” lineup, along with the Africa Twin (no quibbles there – it has to be a contender for someone looking for all-surfaces touring) and the NC700X and CB500X (I have lots of quibbles there, as both have 17-inch front wheels and strike me as being about as adventurous as Aunt Mabel). BMW practically invented the adventure-touring category 35 years ago with the R 80 G/S, but more importantly to the company’s success, it has set the standard in the class with the subsequent versions, up through today’s R 1200 GS. They are so popular, so widely praised, they’ve become the yardstick. So inevitably, the Honda will be measured against the BMW. Honda hasn’t officially announced the MSRP for the VFR1200X in the U.S. market yet, but it’s expected to come in around $16,000. That would make it almost as expensive as the BMW and maybe a little more than the Yamaha Super Ténéré. That leaves me with a lot of questions about the VFR1200X. Who’s going to buy one in the U.S. market? A potential Super Ténéré buyer who really wants a beak? Are there potential BMW buyers who will take on an extra 80 pounds with the Honda (compared to a base R 1200 GS) to get the extra dozen or so horsepower? The VFR1200X has an adjustable windscreen. Honda photo. Will Honda buyers choose the X over the F just for the off-road looks, or will they really put on a skid plate, engine guards and a set of Mitas E-07 tires for some true 50-50 use? Is the Africa Twin the Honda for “real” adventure-touring and the VFR1200X just the alternative for long-haul street riders who want more comfort than the Africa Twin but still want the adventure look? How many slices can you make of this pie? Has Honda lost its way with the V-four engine? No other motorcycle company is as closely identified with this engine architecture, but where is Honda taking it? It was originally a performance engine, then morphed into a sport-touring application in the VFR750 and VFR800, and gradually became part of a platform for showcasing technology, from linked brakes (never lovingly embraced by many riders) to VTEC (ditto) to DCT now. Honda upsized the V-four with the VFR1200F and then brought back the VFR800 Interceptor and now is putting the engine in an adventure-tourer? Maybe the V-four is becoming just an all-purpose engine, like any other, but at one time it seemed to mean something more to Honda. Who will buy the VFR1200X and how will they use it? Honda photo. And finally, before this is taken as Honda bashing, here’s another question I have: Has Honda bashing reached a point where people are doing it just because everyone else is doing it? I’ve learned that when a “trend” becomes “common knowledge,” it has probably run its course. If “everybody knows” that Honda has gone from being an innovative motorcycle manufacturer to a cautious car company, then I suspect it’s time to see what the next chapter says. As they say on Wall Street, what everyone knows isn’t worth knowing. What do you think? Anyone want to venture some answers to all my questions?